The Capital One SavorOne card is a top pick for foodies, rewarding both dining in and eating out with a generous rate of cash back on both restaurant and grocery purchases. Plus, it doesn’t charge an annual fee. The earning rate on the SavorOne card is clearly designed with foodies in mind. Cardholders earn 3 percent cash back on dining and entertainment purchases (such as concerts or movie tickets), 2 percent cash back on groceries and 1 percent cash back on other purchases. For users who spend a lot in these categories, this is a great rewards rate for a card with no annual fee. It also makes a great pair to a flat rate card for users who don’t mind weighing their spending to different bonus categories. Tip: For cardholders who are less worried about paying a high annual fee who want to maximize dining rewards, the Citi Prestige card offers the highest rewards rate currently available on those purchases. However, its high $495 annual fee means it might be out of reach for some. Many of these cards with a higher average rewards rate charge a higher annual fee, so you’ll have to consider how that fits into your budget before jumping at an impressive rate. 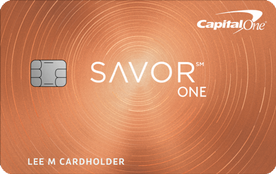 For cardholders who spend at least $500 in the first three months, the SavorOne card comes with a $150 sign-up bonus. This is not the best introductory offer currently available, but it is average for a card with no annual fee. The SavorOne card has one of the most flexible redemption setups available among cash back cards. There is no minimum required to redeem, and you can opt for a statement credit, check or gift card. You can also set up automatic redemptions, either once per year or at a set threshold. These features make it easy to use your cash back. While you can’t use rewards for travel purchases, you can always redeem for a statement credit to cover the cost. In addition to a generous rewards rate, the SavorOne comes with a lengthy intro APR for balance transfers. New cardholders can enjoy a 0 percent intro APR for the first 15 months (16.24 to 26.24 percent variable thereafter). This is a pretty long intro period, especially for a card that also offers a good rewards program. If you have some debt to pay down, but want to maintain the card’s long-term value with the ability to earn rewards, this can be a great choice for you. Unfortunately, the card does charge a 3 percent balance transfer fee, which can add up to quite a bit on larger balances. Cardholders focused on paying down debt might be better off choosing a card with no balance transfer fee or with a longer time to pay off their balance to save more on interest. On top of a generous intro APR for balance transfers, the SavorOne offers the same interest-free period on new purchases (16.24 to 26.24 percent variable APR thereafter). This makes the card a great option for cardholders looking to finance a large purchase with time to pay it down. You’ll have over a year to make steady payments before accruing interest. Just be sure not to charge more than you can pay off in the introductory period, as the ongoing APR can be high. No foreign transaction fee – Less common among cash back cards, the SavorOne doesn’t charge a fee on foreign transactions, boosting its appeal for travelers. Car rental insurance – For car rentals booked and paid with your card, you can receive secondary coverage in the case of damage or theft. Extended warranty –Double qualifying manufacturer’s warranties of 24 months or less. Price protection – If you purchase an eligible item with your SavorOne and find a better price in the next 120 days, you can be reimbursed for the difference. All of these benefits can save you a lot of money when you travel or shop, so you should put major purchases on the card to take advantage of its protections. If you are looking to maximize your food rewards, Capital One offers an even more rewarding card for food purchases – the Capital One® Savor® Cash Rewards Credit Card. Compared with the SavorOne, the Savor card offers a much larger intro bonus, a slightly higher rate of cash back and a few additional perks, but it comes with a $95 annual fee (waived first year). The Savor card offers 8 percent cash back on tickets booked through Vivid Seats (offer ends May 2020), 4 percent cash back on dining and entertainment, 2 percent cash back at grocery stores and 1 percent cash back on other purchases. It also comes with a $500 sign-up bonus for users who spend $3,000 in the first 3 months. While the bonus on the Savor is certainly more generous than the SavorOne, the cash back rate is not much higher. To decide which of these two cards is best for you, you’ll need to consider how much you spend on dining and entertainment each year as well as the value of additional perks. For more modest spenders, the SavorOne card’s lack of an annual fee means you’ll probably still earn more in rewards. For example, a cardholder who spends $15,900 total on their card each year, with $2,862 on dining and entertainment purchases and $3,657 at grocery stores is better off with the SavorOne. However, the Savor card comes with a few extra benefits that up its value for cardholders who spend a significant amount on dining purchases. For example, Savor cardholders who pay for a Postmates Unlimited monthly membership with their card (before Dec. 2019) can receive a statement credit each month to cover the cost. This perk helps you save on delivery fees and surge pricing. For someone who orders delivery four times per month, we estimate that comes out to more than $200 in savings a year. The SavorOne card is designed for users with good to excellent credit (above 670), so you’ll want to ensure you meet those qualifications before you apply. If you are worried about meeting the criteria and want to avoid a hard pull on your credit score, you can take advantage of tools like CardMatch™ to see if you pre-qualify for the offer. Capital One also limits the number of cards you can have open at a time, so if you already have 5 or more open credit cards with the bank, you might not be eligible for this card. Additionally, you cannot apply for a Capital One credit card more than twice in a 30-day period. Among major issuers, Capital One has a good – but not great – customer service reputation. In J.D. Power’s 2018 customer satisfaction survey, the bank scored 803, ranking fifth out of 11 credit card issuers. While Capital One does offer 24/7 customer service and an online chat feature, the chat service is difficult to find on the website. On the plus side, the Capital One app rates well among users, rating 4.7 out of 5 in the Google Play Store and 4.6 out of 5 in the Apple App Store. How does the SavorOne compare to other cash back cards? 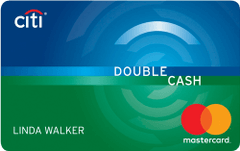 For cardholders who prefer to earn a flat rate of cash back on every purchase, the Citi Double Cash Card is one of the highest earning options available. Users earn 1 percent cash back on every purchase, plus an additional 1 percent cash back for paying their bill on time. That means each purchase can earn you up to 2 percent cash back. If you only spend a moderate amount on dining out, putting all your purchases on one great flat rate card might make more sense for you. You won’t have to worry about keeping track of bonus categories or weighing spending. Another popular choice for foodies, the Uber Visa awards 4 points per dollar on restaurant purchases, including takeout like UberEATS. While it doesn’t come with a bonus category for groceries – like the SavorOne – the Uber Visa is a good choice for users who also spend a decent amount on travel, as it offers 3 points per dollar on airfare, hotels and vacation rentals. The card also offers 2 points per dollar on online purchases and 1 point per dollar on general purchases. Since online purchases include both web and mobile app purchases, this is a very lucrative category. 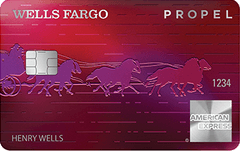 The Wells Fargo Propel is another great choice for cardholders seeking dining rewards, and it also offers a great rate on travel and gas station purchases. The card comes with a generous intro offer of 30,000 points for spending $3,000 in the first 3 months – one of the best sign-up bonuses available among rewards cards with no annual fee. Why get the SavorOne card? You frequently dine out and want to take advantage of the card’s bonus on dining purchases. You are looking for a decent intro APR on balance transfers and new purchases. Spend at least $500 in the first three months to earn the sign-up bonus. Use the card to pay for all dining, entertainment and grocery store purchases. If you take advantage of the intro APR to transfer a balance or finance a large purchase, be sure to make a plan to pay it off in the first 15 months to avoid interest. Is the SavorOne card worth it? If you spend a lot of money on food, whether eating out or cooking for yourself, the SavorOne card has a great cash back rate on those purchases. Plus, it comes with generous travel benefits for a card with no annual fee. However, cardholders who prefer to put all their spending on one card might be better off opting for a card with a flat rate of cash back.